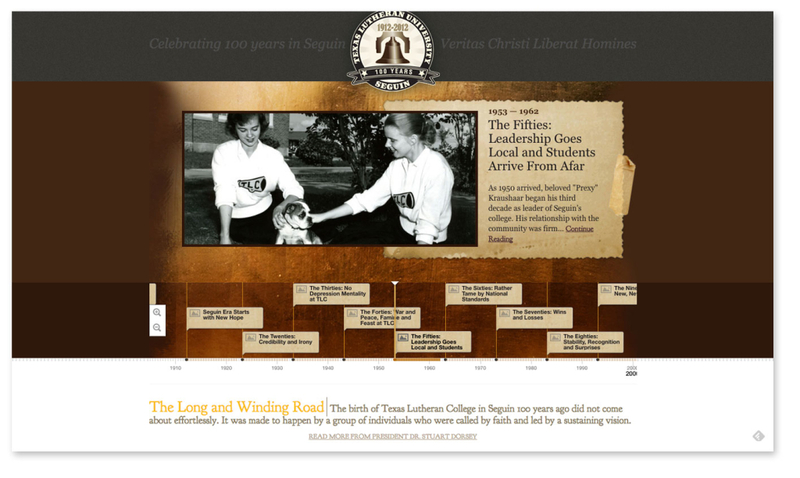 Over 100 years ago, Texas Lutheran University was established in Seguin, Texas. 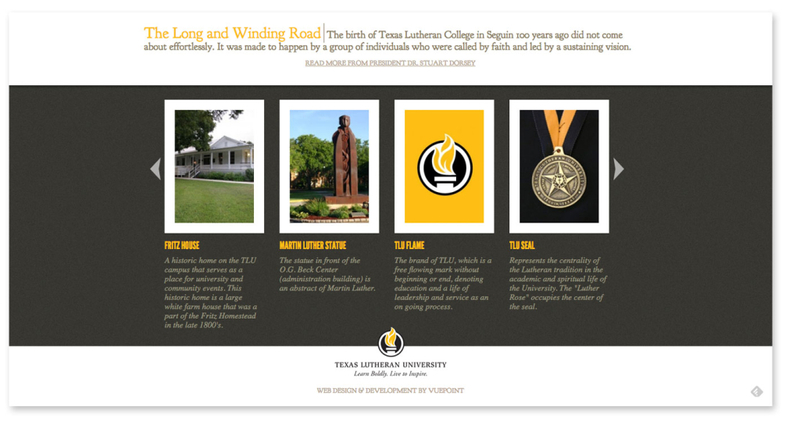 Today this thriving campus has come a long way since 1912 and TLU wanted to celebrate their 100th birthday in a special way. We wanted to give them a minisite that shows a glimpse into the campus’ past, proudly displays the present, and looks forward to the future. 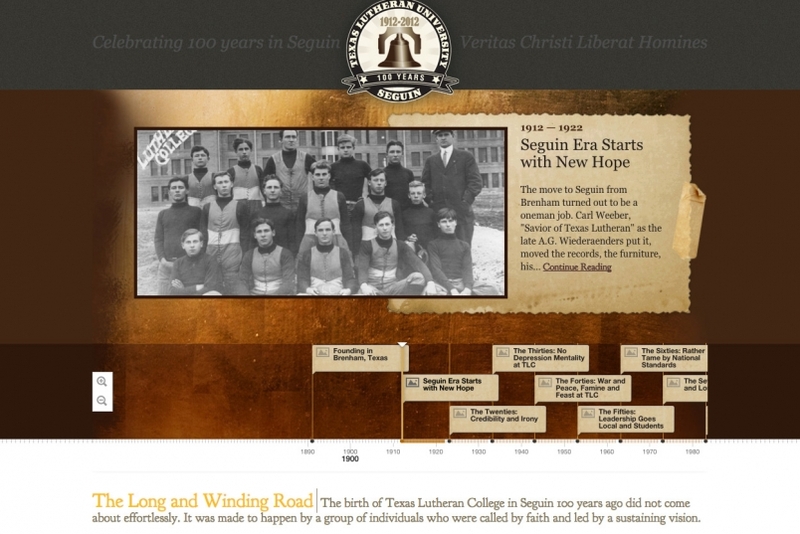 The minisite is centered around a scrolling timeline that highlights important events in the university’s history. 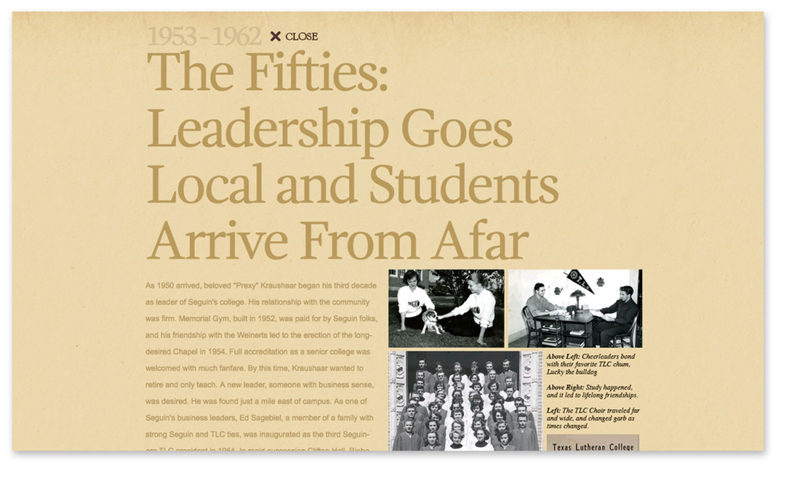 A picture from that era along with a small title and intro to a short article is displayed and the user can choose to dive deeper into that point in history. An expander opens with the full writeup and even more nostalgic photos. Finally, at the bottom of the page, various university traditions, icons and landmarks are proudly displayed along with the history behind each. The website highlights the past but also adds perspective on why things are the way they are today. The website design was entered into CASE District IV’s District Awards Program and came away with the Bronze award for “Specialty Sub Site”.